Brows on point is every girls goal….pencils, powders, gels are dipped and mixed to create the perfect arch. All of us are getting busier and busier and the idea of waking up made up becomes more appealing as the days shorten. You have your wake up made up lashes on but now what about the brows? Microblading or 3 D brows have become more and more popular. 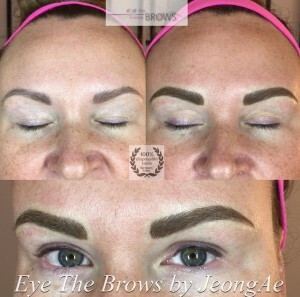 A technique where tiny little strokes are cut into the shape of a perfect brow and then filled with dye. It looks exactly like hair….if done properly by a trained artist. Like anything that gains in popularity, there are some offering this service after getting very little training. This service is something to be taken very seriously as it involves blood, the small cuts will bleed and the results are permanent. We’re seeing lash artists, make up artists, tanning salons all offering micro bladed brows and it scares the doodle out of us. We offer extensions and only lash extensions because we are experts in the eye and it’s possible complications. Mico blading should be no different, if the artist is a “jack of all trades” then there’s a possibility they are a master of none. The space should be sterile, with visible bio hazard bins and equipment disinfectant, the process should NEVER be done without gloves, face mask and a clear understanding of the risks. Eye The Brows is one of the best in the business, her attention to detail is incredible. 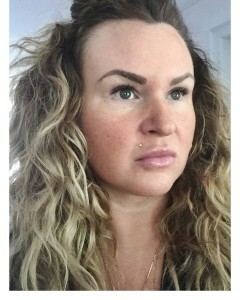 The actual application is done relatively quickly, however ensuring the brows are perfect takes time. Rulers, pictures, angles and even string are used to create brow perfection. The environment is sterile and soothing, Eye The Brows has a strong portfolio and continues her education. 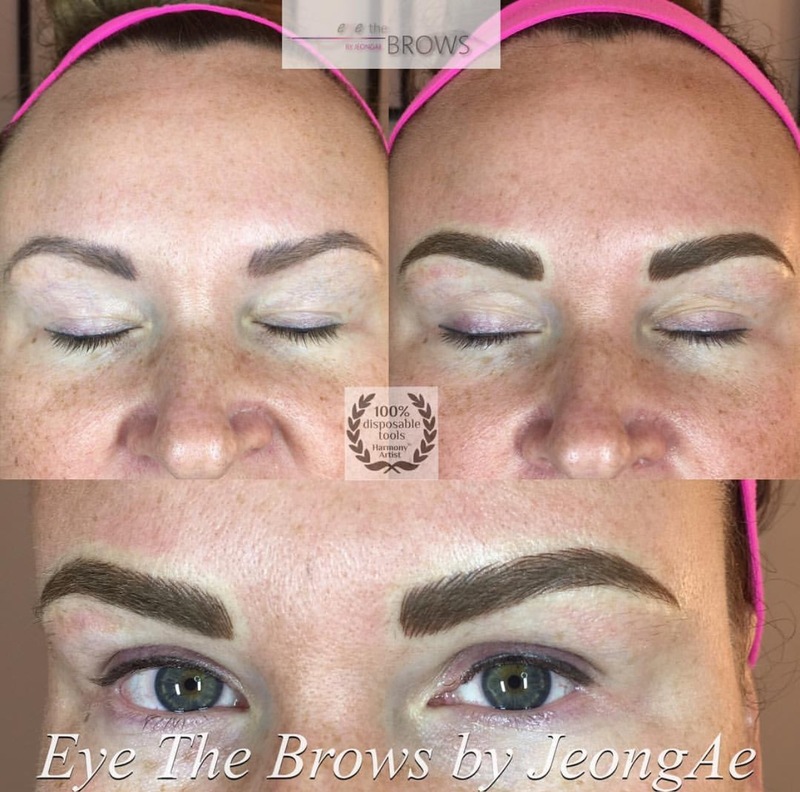 Sommer the owner of FCL is one of Eye The Brows very happy clients – waking up TOTALLY made up is an everyday thing for her.